Why are Japanese age statements vanishing? Having only recently discovered the joys of Japanese malts, our Whisky Virgin is confused and dismayed to see some of his new favourites discontinued, and replaced by no-age-statement whiskies instead. What’s going on? Attention, whisky fans. I have terrible news that concerns all the malt loving people of this world. I hate to be the one to break this to you all, but some of your favourite whiskies may soon become extinct. The most at-risk species are blockbuster drams with age statements on them, malty classics we’ve been swilling down like they’d be around forever. Why is this happening, you ask? I’m not sure, mate, but I’ll do my best to find out. Bear with me, like. I learned about this crisis a few days back when I decided to take a dive into the most zeitgeist-y of brown boozes, Japanese whisky. After knocking down a few Far-Eastern drams at my preferred whisky shack I happened on one that really blew my hair back, a lightly smoky little number called Hakushu 12 Year Old. So, you must have heard that this Japanese gear is good. In recent years even the tweediest, gammon-est Scotch purists have had to admit that our malt making friends in Japan are doing good work. Your little brother hasn’t touched a rum and coke in weeks, not since he read that GQ article and became ‘more of a Nikka Highball guy’. It’s no wonder that even your boy is finally getting in on the act. I mean, seriously. I get one taste of something great and it goes and disappears. One splash of light, complicated, mysterious, pine-y, minty… I don’t care if I have to hit up every whisky shop in my city, I have to track down a bottle of this to squirrel away. But pretty much every spot I hit up is sold out of Hakushu 12 – panic buying maltists, and my old foes the bottle flippers, have cleaned everyone out. Some helpful merchants offer me 18-year-old Hakushu – presumably mistaking me for someone literally made of actual money – but most try to switch me onto something called Hakushu Distiller’s Reserve. Same distillery, no age statement on the bottle. Now, I’m no whisky ageist. On my mission to attain malty enlightenment I’ve learned that Yung Whisky can be fresh and tasty and had my world rocked by plenty a no age statement – or ‘NAS’ – dram. But the thing is, Hakushu 12 was just so great. What if what was good about it was that 12? Why would they mess with the formula? During my extensive research into this disappearance – asking people in shops and stuff, not really reading or anything – I find out that there was a time when Hakushu 12s were common in the wild. You could see them frolicking on the shelves of off-licences and behind bars in great numbers along with other now discontinued whiskies – Yoichi 15, Mortlach 16, Elijah Craig 12 and so on. But they were just too delicious for their own good. We hunted them to extinction, like the bloody dodo. We drank those warehouses dry like a load of mad Daniel Day Lewises off of There Will Be Blood and now stocks of aged whisky left in their natural environment are dangerously low. Turns out it takes time to make 12-year-old whisky – about 12 years, to be precise – and there just isn’t any way around that. The theory is that NAS offerings are a way for whisky companies to keep our glasses full and their cash flow flowing while they step up production to meet demand in the future. Makes sense, but is this really about protecting an endangered species of spirit while artistically minded Japanese craftsmen nurture a new generation of whiskies, accessible to all? I want to believe it, but I hear whispers here and there that there’s another way of explaining this disappearing whisky phenomenon. Turns out, Hakushu is owned by mega drinks outfit Suntory, who also sell worldwide favourite whiskies Yamazaki and Hibiki. Suntory is so powerful in Japan that they have a whole time named after them; something I learned from that Bill Murray film with the Jesus and Mary Chain song at the end. Now it seems possible to me that a big firm like this, faced with the fact that their whisky is some of the hottest in the world, might try to push cheaper, quicker to make versions of the classic drams that got everyone buzzing while they hike the price on their original core lines. NAS versions of all the classic Suntory products came out a few years back. Was this the plan all along? Is Hakushu 12 now just always going to be expensive and exclusive, even if stock levels bounce back? It’s hot take time with the Whisky Virgin. In Scotch, in Bourbon, all over the shop, I hear stories of this phenomenon happening. Well-meaning future planning or cynical money grubbing… I honesty can’t tell for sure; all this business conspiracy stuff is a little over my head. What temperature did we decide jet fuel burns at again? Anyway, what I can do, is taste new NAS releases case-by-case and see if they’re any good. If my old faves go extinct or on the protected list, that’s just the way it’ll have to be. In the case of Hakuhsu Distiller’s Reserve, I can confirm it’s pretty damn alright; cool and green and tasty, definitely a Hakushu. It also has the advantage of being much more affordable and available than its older siblings. Is it as good as the bottle I fell in love with? I don’t know, man, write long aged Japanese whisky on the longlist of things that old people tell me were awesome but that I missed out on, right next to 1960s Bowmore and free university education. 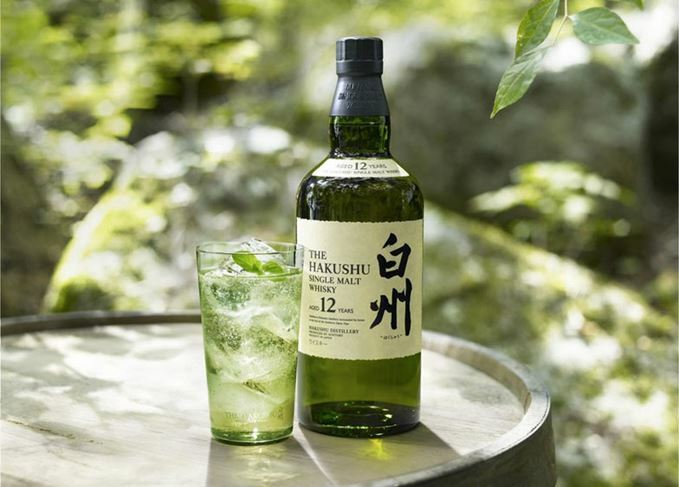 If stocks of Hakushu 12 recover and it gets affordable and abundant again in a decade’s time we can meet up for a Highball and talk all about it. Peace. The Whisky Virgin puts aside his preconceptions to discover the beauty of youthful Scotch. If stocks are limited, where are all the new Japanese whisky brands coming from? Three rare Japanese morsels are examined, but not all of these Eastern drams show promise. The Japanese whisky has become the most expensive ever sold at auction.